Partnership allocation. Subchapter K. Tax compliance. Consulting for major players. Leading and mentoring teams. Does this get your heart racing? If you’re a leader who wants to play in the big pond and have a solid understanding of Subchapter K, partnership allocation methodologies, and the tax compliance process for investment partnerships, we have an exciting opportunity for you as a Tax Senior Manager on our growing team! Performing high-level reviews of tax research, partnership work papers, allocations, and tax returns; and preparing and leading client meetings on compliance and consulting projects related to tax planning opportunities, and the tax implications of various transactions to the funds. Training, mentoring, and supervising new and experienced tax consultants, tax seniors, and tax managers, and participating in the hiring process for your group. Taking the lead client contact role on some engagements and working on the billing and profitability analysis of those engagements, while beginning to be involved in new marketplace pursuits. 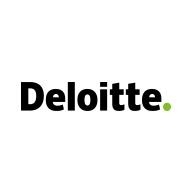 As global leaders in providing professional services to the Investment Management industry, Deloitte works with clients to address a range of critical issues brought on by regulatory changes, competition, globalization, advances in technology, and the changing demands of their customers. Our cross-functional industry group is comprised of more than 2,800 partners, managers, and staff providing a spectrum of assurance and advisory, tax, enterprise risk, regulatory, and consulting services to a broad range of Investment Management companies. Our clients include investment advisers and administrators from every sector of the industry, including investment managers, broker-dealers, banks, insurance companies, mutual funds, investment partnerships, hedge funds, private equity, alternative products, and other money managers. We take pride in our culture and celebrate individuals by recognizing their uniqueness. As a commitment to our people, we offer well-being programs and provide our professional’s opportunities for support and flexibility to make daily choices that can help them to be healthy, centered, confident, and aware. This supportive culture helps enable our people to do their best work every day. Learn more about Life at Deloitte. As used in this posting, “Deloitte” means Deloitte Tax LLP, a subsidiary of Deloitte LLP. Please see www.deloitte.com/us/about for a detailed description of the legal structure of Deloitte LLP and its subsidiaries. Certain services may not be available to attest clients under the rules and regulations of public accounting.